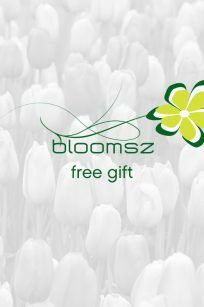 This privacy and security policy applies to the Bloomsz website (https://www.Bloomsz.com) and all products and services offered by Bloomsz. We are continuously investing in state of the art protection for your privacy and security. It is our intention to provide you with the best possible protection available. When you order from this website, your credit card transaction is handled by a secure and independent authorization service, and your credit card information is not accessible by any employees at Bloomsz. Wherever possible, we transmit sensitive data using 128-bit Secure Socket Layer (SSL) encryption. When navigating secure areas of our website, you will notice that the prefix to the web address (URL) will change from ‘http’ to ‘https’ where the ‘s’ stands for ‘secure.’ Common web browsers (such as Internet Explorer, Firefox, Chrome, Safari and others) all support SSL encryption. We always recommend using the most current version your web browser and the most current version of your operating system. Also, you should ensure that you have downloaded any available security patches. At Bloomsz, we are proud to be your trusted gardening company. In order to help ensure a positive experience, we use the information you provide to better serve you. When you visit our website, we collect non-personally identifiable information that web browsers and servers typically make available, such as the web address of the site you came from before visiting us, the type of browser being used, language preference, and the time of the visit. We also record which pages each visitor views on our site. This information is collected in an effort to improve our website and product offerings. We contract with multiple third parties to help serve you, including companies that specialize in shipping, email distribution, address verification, research, website hosting, payment processing and more. Bloomsz provides these companies with the minimal amount of information required to perform their services. We require these companies to also meet strict security standards. If you choose to communicate with us via email or provide your email address with your order, we will record your email address. If you opt-in to receive our Emails and Newsletters, we will send you regular emails that include special offers, gardening advice and announcements. You may opt-out of our emails at any time by clicking on the ‘Unsubscribe’ link at the bottom of any email. Please allow several days for this process to be completed. If you opt-out of our Newsletter emails, you may still receive email communication from us that is directly related to pending or future orders. These emails are typically to confirm an order or to provide order and shipping statuses. Bloomsz will not rent, sell or trade email addresses to other companies. If you supply us your postal address or phone number, you may receive periodic contacts from us with information on new products, special prices or upcoming events. The name and physical address that you give us and information about your order may be combined with other personally identifiable information (such as demographic information and past purchase history) available from our records and other sources. This information will be used to make our future marketing efforts more efficient. This information may also be shared with other marketers to bring you offers of interest. If you do not wish to receive such contacts or have your information shared, please let us know by sending a message to our Customer Service Department or by calling us at (877) 811-8681, and we’ll be happy to follow your requests.